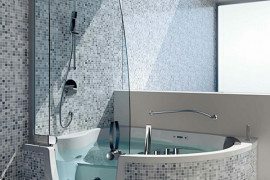 There was a time when you thought of a shower enclosure and the image that came to your mind was of a dingy and dark place with the bare minimum. 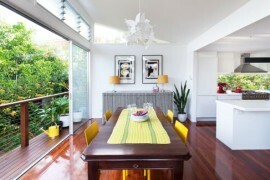 Modern design and contemporary houses have changed this perception considerably. With homes now sporting shower enclosures that rival those at the nearest spa or even a luxury resort, it is time for you to go in for an upgrade as well. 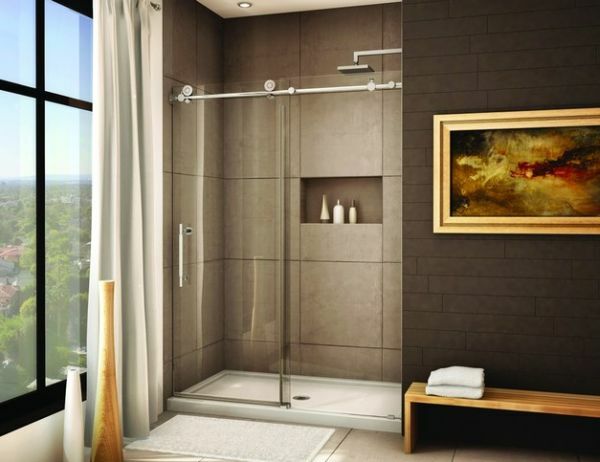 Sliding door shower enclosures especially have a ton advantages that makes them ideal for a stylish and chic modern residence. 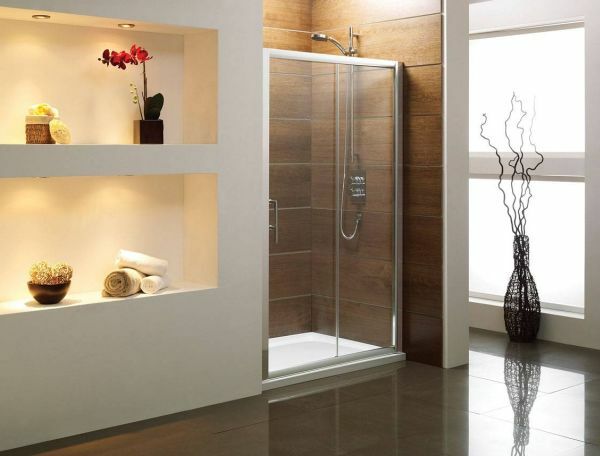 Here is a gorgeous and refined shower space that fits in seamless with most contemporary bathroom themes. The sliding glass doors along with a glass wall on one of the sides ensure that the enclosure always stays visually connected with the rest of the bathroom. It also uses a corner in the bathroom that would have otherwise been ignored in a sensible fashion. This shower enclosure design does all it can to not disturb the design of the rest of the room. It fits well in a private corner and is nicely tucked away. If you have a similar space available in your own home, then by simply adding the sliding glass doors, you can transform the entire appeal of the bathroom. 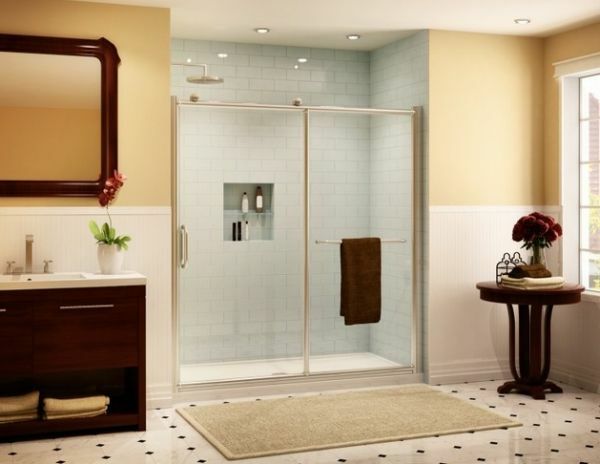 While frameless glass shower doors might look great, they do not work equally well for everyone. 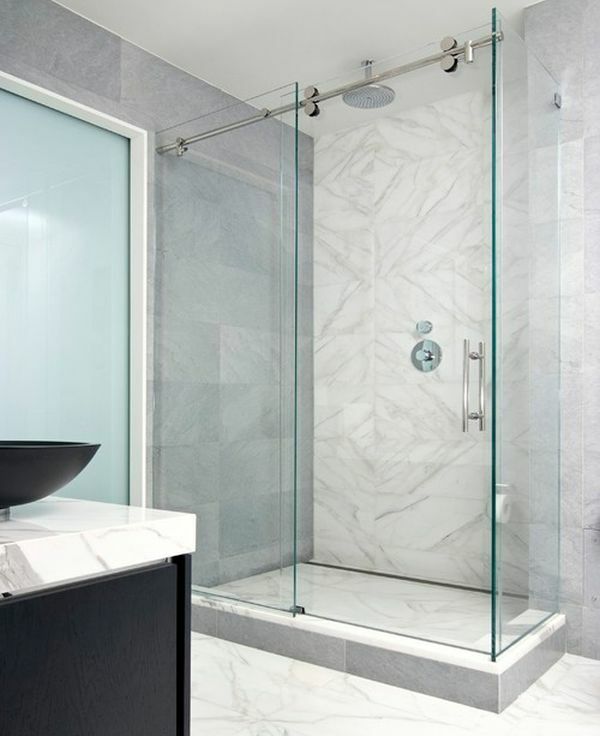 Depending on the dimensions and theme of your bathroom, glass shower doors encased in a polished chrome frame could very well be the solution. 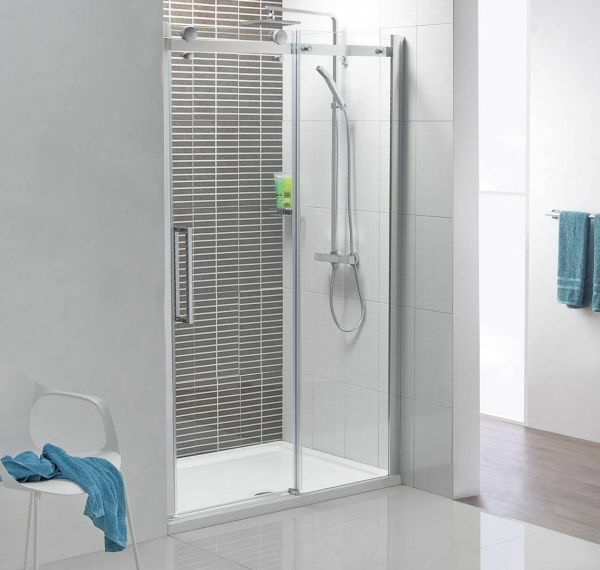 These sliding shower doors above (now only £199) bring refinement and sophistication with ease and a particular design like this is ideal for small bathrooms that are looking to save up on space. The uniqueness of this shower enclosure lies in its completely transparent walls, which allow for ample visibility from all sides. 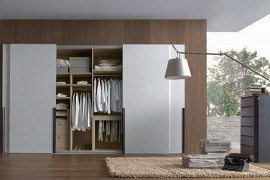 The sliding doors once again make it a compact unit and it form complies with modern minimalism. The intelligent use of dark background tiles further accentuates its transparent brilliance. Bring home the good times! Corner spaces can be hard to deal with, no matter where they exist. 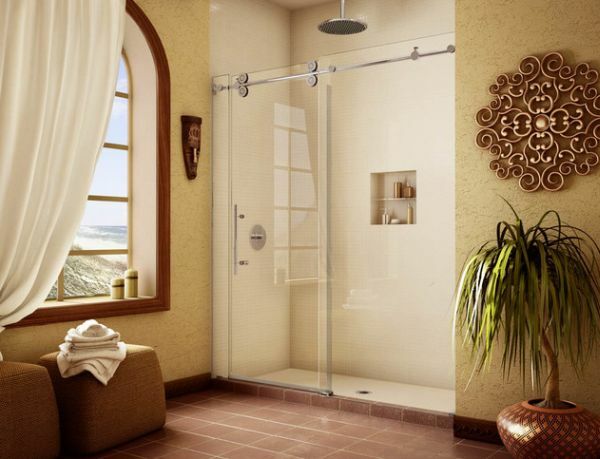 A shower enclosure is a perfect way to use this forgotten space to the hilt. The framed glass brings a sense of sturdiness along with it. If you are going for largely neutral shades to create a more soothing atmosphere, then brighten up the setting with a few flowers or some natural green. While a normal glass door that uses hinges takes up extra space every time you open it, the sliding door does away with that conundrum here. 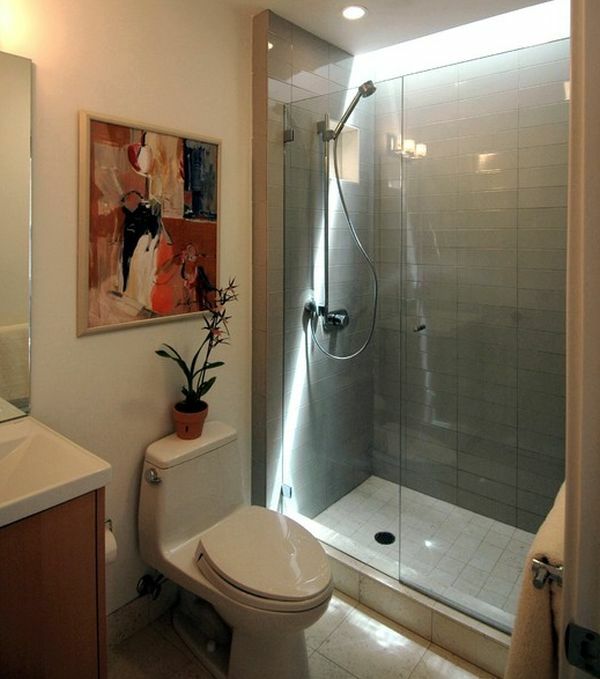 The sliding doors are especially useful here as a normal door would make the entire bathroom cramped for space. Smart use of art also helps lighten up the atmosphere in a chic manner. An array of elements that surround this shower area make it all the more appealing. Designing a beautiful shower enclosure is as much about ensuring that it blends in with its surroundings as it is about shower space itself. A touch of green, a beautiful window with drapes, some wall art combine to gives this sliding glass door shower enclosure a comforting look. The use of exclusive black tile for this area of the bathroom gives the shower enclosure a whole new look. With the rest of the bathroom sporting pristine white the contrast could not have been starker. 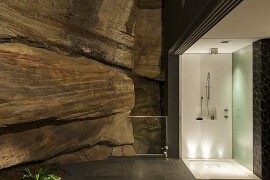 Once again, sliding glass doors offer a seamless and stylish solution and provide a sufficiently spacious shower area. Interesting use of flora helps create a soothing and relaxing atmosphere indoors.